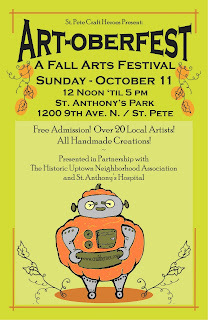 Artists and crafts people are encouraged to apply for this fall arts festival! All mediums will be considered. Vendor fee is $40 for a 10 x 10 space. Vendors are responsible for providing their own tent, table, chairs, etc. and for collecting appropriate sales tax. Only hand made items created and sold by the registered vendor allowed. No imported, vintage, or resale items. This event is a fundraiser for the Historic Uptown Neighborhood Association (HUNA) and a portion of vendor registration fees will be donated to HUNA in support of their crime watch program and other neighborhood initiatives. Awards will be presented for People's Choice, HUNA's Choice, and Most Unique vendor categories. New Show! 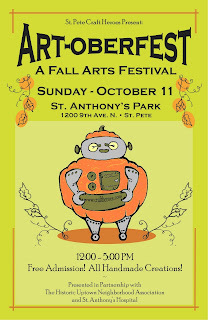 ART-oberfest Oct. 11! The Craft Heroes had so many great applications for Holizaar Deux (and limited space for accepting vendors) that we needed to create another show! An application will be posted soon! Also selected vendors for Holizaar Deux will also be announced soon!